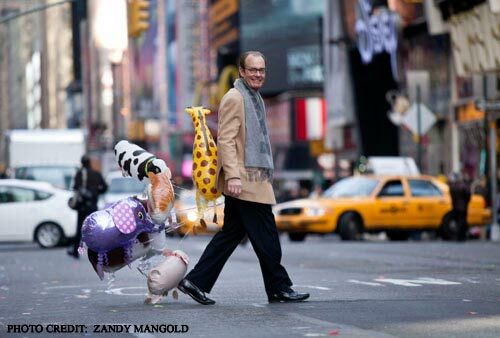 In a recent article from the New York Post My Own Pet founder, Treb Heining, sits down with Michael Kane to discuss his life, love and passion for balloons. “As a pioneer in the business of elaborate balloon displays, the 57-year-old has worked the Olympic Games, Super Bowl, on Broadway and at countless celebrity parties. The ?grandfather of the balloon industry,? 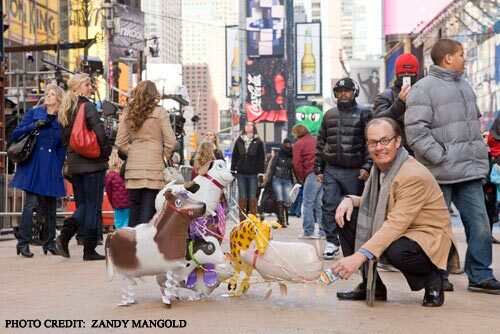 Various MyOwnPets – including our elephant balloon, giraffe balloon, cow balloon and dog balloon – ?joined him for the interview as Heining discusses some of his celebrity clientele, the events he?s done for New York City and what it takes to become a balloon mogul.